Learn advanced AFL skill techniques? 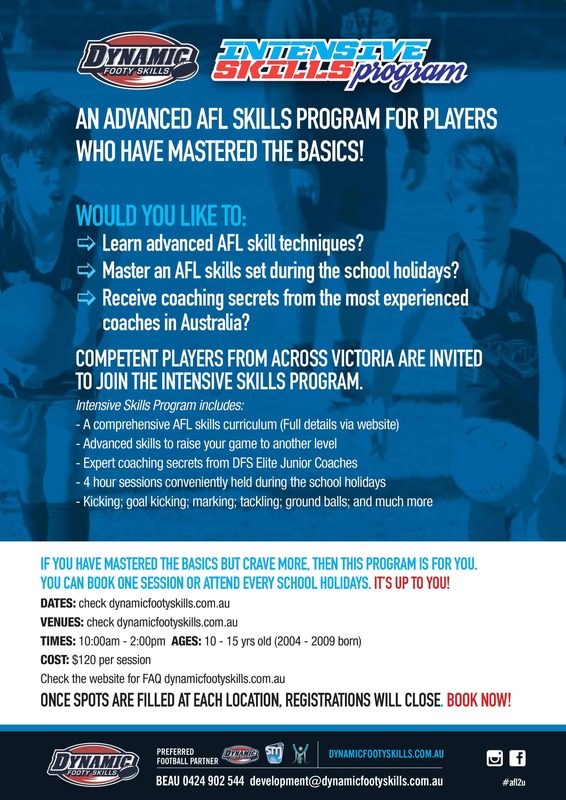 Master an AFL skills set during the school holidays? Receive coaching secrets from the most experienced junior coaches in Australia? If you answered YES, then the Intensive Skills Program is for you. As this is an advanced skills training program, players will build on their already established basic skills techniques. Players who register need to be able to already perform the basic AFL skills competently and confidently. Once spots are filled at each location, registrations will close. If a position does become available we will notify you. All queries, please contact Beau Dorian, football administration.